Robynne Louise x – Page 3 – FASHION. BEAUTY. TRAVEL. LIFESTYLE. I recently received some of the cutest jewellery pieces to style from Crystal Hut!!! 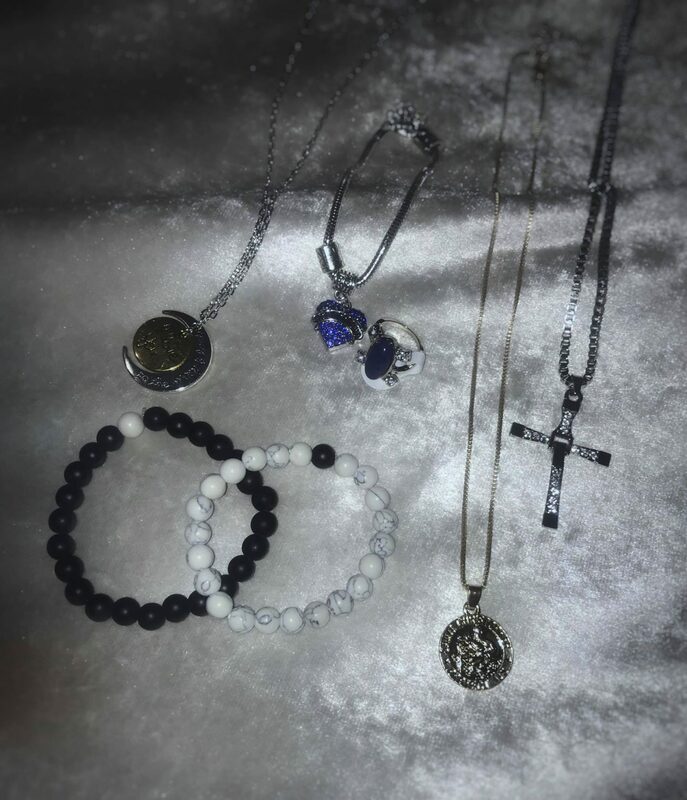 I was sent a little box of goodies from bracelets to necklaces’. The jewellery the Crystal Hunt sent to me was personally picked out by the Crystal Hut team to suit my style. 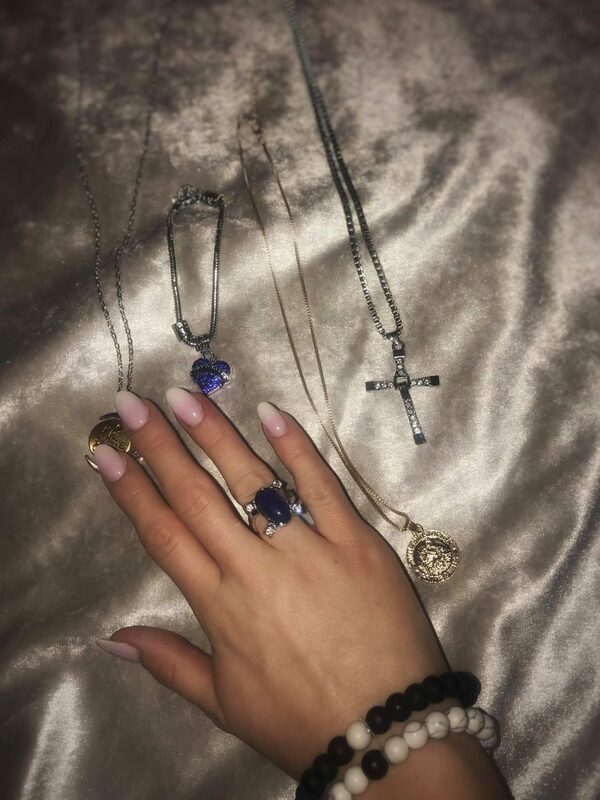 The pieces I received were definitely well suited to my everyday look, so I can literally style my Crystal Hut jewellery with anything and everything! 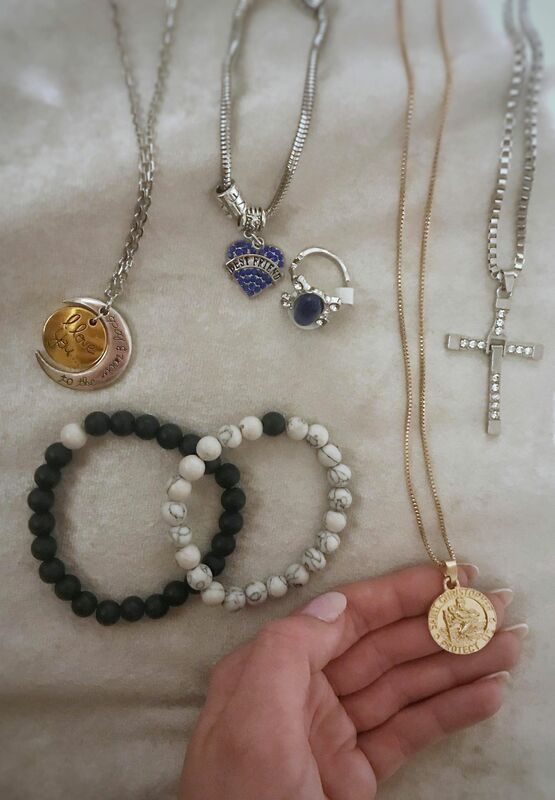 My favourite piece is definitely the gold coin like Saint Christopher necklace. I have wanted a necklace like this forever and I am in love with it! I literally wear it every day at the moment. 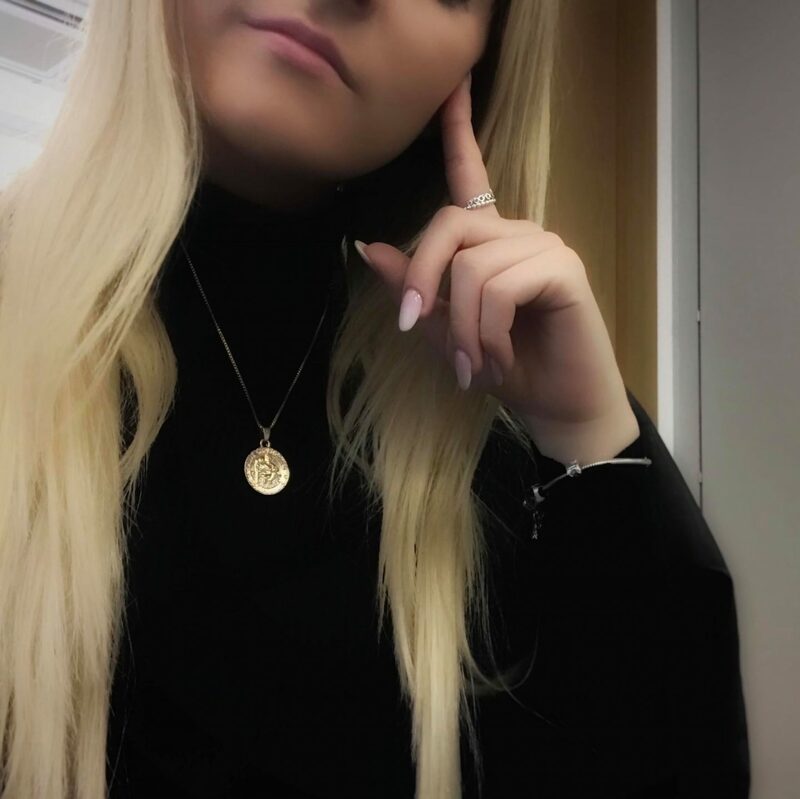 The quality of the jewellery is brilliant and all of the pieces are so cute and elegant looking and they only use the best 100% authentic Swarovski crystals for their work. They definitely make a perfect fashion statement! If you have any requests for any customised jewellery, they are always happy to attempt to fulfil your needs. Even Kirk Norcross wears his “St Benedict” chain on a daily basis! Check out their Instagram page: @Crystal_Hut and take a look for yourself! Puff Me is just one item from the Design Me range and Puff Me is suitable for fine to medium hair but you can check out the full range here: www.sallybeauty.co.uk/DesignMe. Puff Me is a small yet amazing product I have recently come across! I forever feel like my hair doesn’t have enough volume and when I say I try everything to achieve this, I mean, I try everything. I blow dry my hair upside down, I brush it backwards.. I try EVERYTHING. When I discovered Puff Me by Design Me, my initial thought was, it will not work.. as nothing works! But, how wrong was I?! This is literally like magic in a bottle! It gives you insta MEGA volume with just one pump! It is a powdery product that you literally pump onto your finger tips and run through your roots. I don’t know how this works, but it works wonders, is easy to apply and is mess/odour free! My hair always feels volumised and I never feel as though my hair is “stuck to my head”, that’s the usual saying in our household! For only £9.95 you cannot go wrong! So if you need something to give you a lil bit of volume, I would definitely recommend it! You can buy at Sally Beauty: Design.ME Puff.ME Light Hair Volumising Powder Mist. 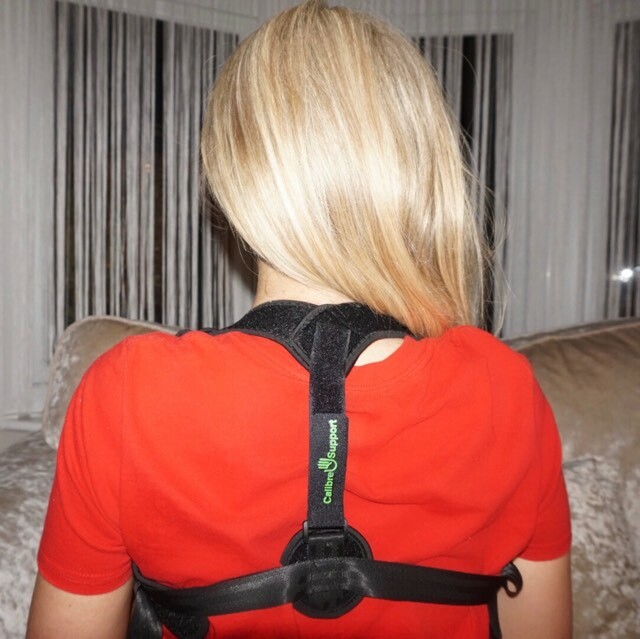 Living with Scoliosis / How a Posture Corrector changed my life! I haven’t really spoken out about anything like this before, so bear with me as this post is a tad different to my norm! 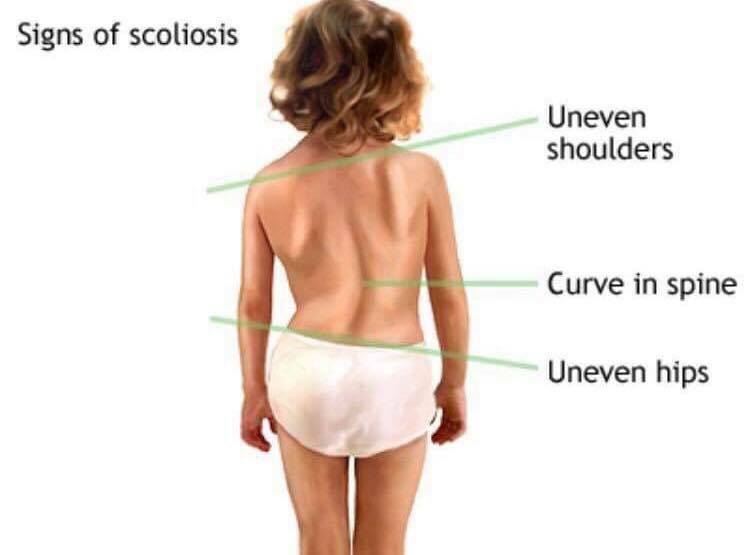 Scoliosis.. some of you are probably thinking, WHAT?! 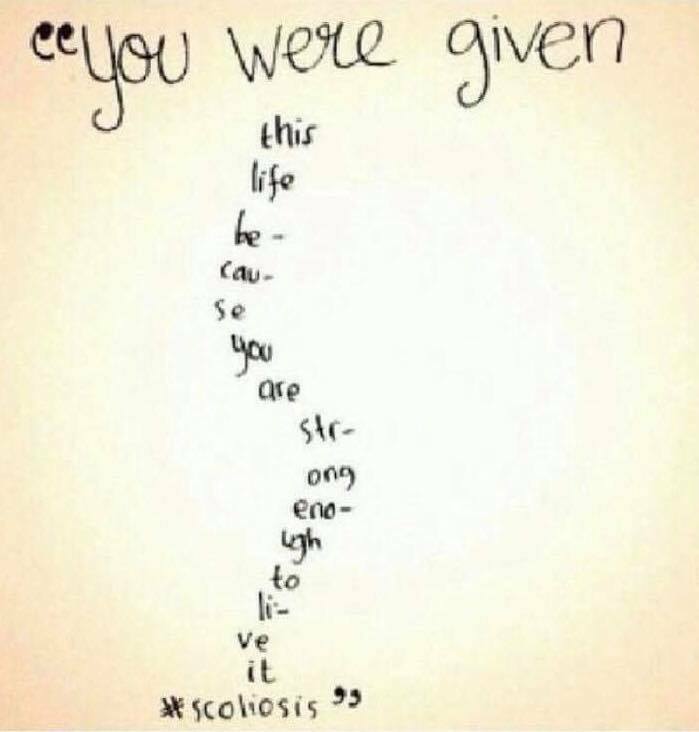 I thought the same when I was diagnosed with scoliosis at 11 years old. My family have always suffered with back problems, but it is my dad and my grandad who suffer the most. To be in pain every day of your life the way they are is just awful to even think about, let alone to experience. So back problems / back pain is a daily moan in our household. A lot of people suffer with this back problem.. but they don’t even realise it! That’s why I am writing a blog post, I want to raise awareness and to help others seek any help they may need to stop it getting worse. Fun fact: while I was at school, I wore a back brace.. this was like a tiny little corset which helped me to keep my spine straight. I wore this for 23 hours a day and only ever took the brace off for PE in school or netball outside of school. 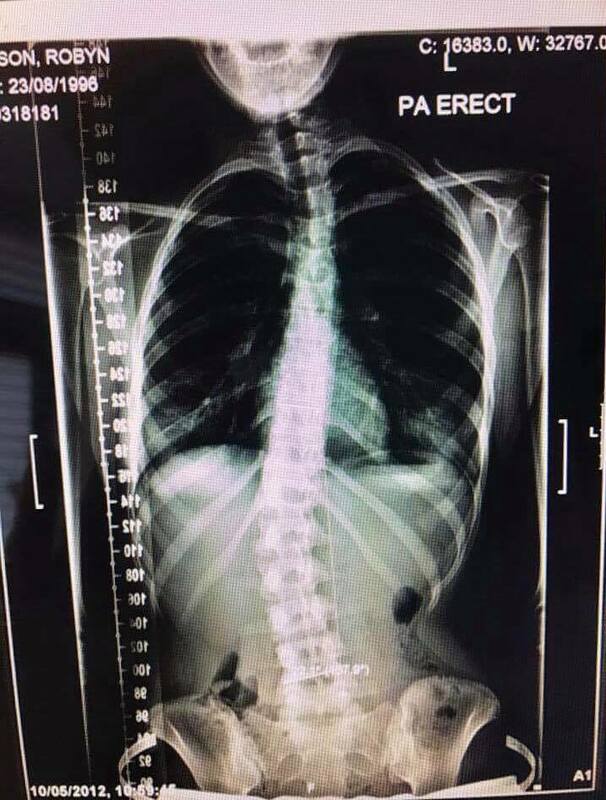 When I was diagnosed with scoliosis it was the most horrific thing.. all I remember hearing was the words “back brace” and “operation”.. that’s a scary thing for an 11 year old girl to hear. 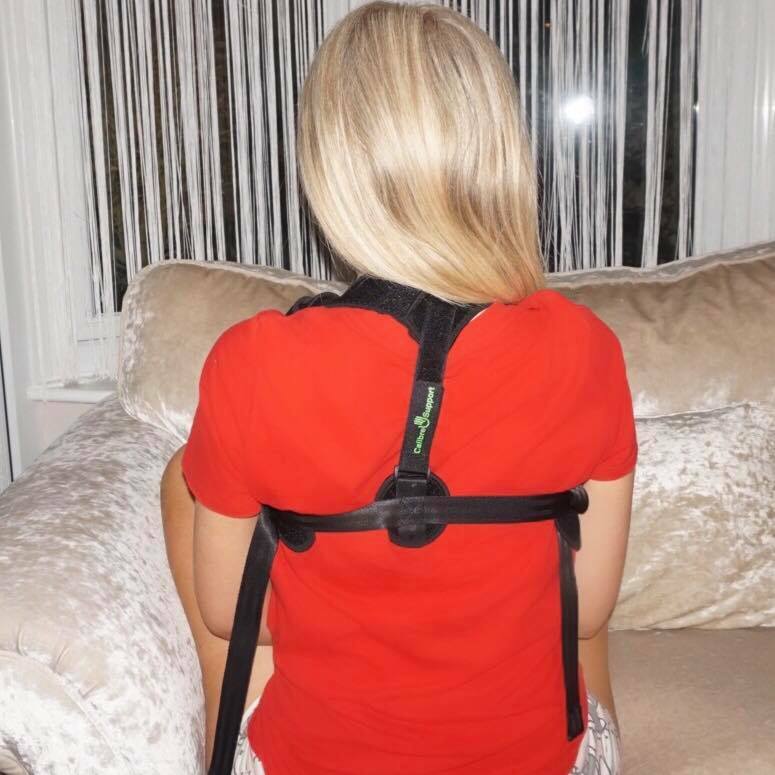 Thankfully, I always received lots of love and support from my family so they made me realise a back brace wasn’t such a bad thing at all and was definitely the best option, over an operation anyway. Looking back, I don’t even remember the 2 or so years I had to wear a back brace, it all went so fast and it was definitely the best thing I ever decided to go ahead with. It kept me super skinny too as I couldn’t eat much due to the tightness of the brace – it looked just like a corset. 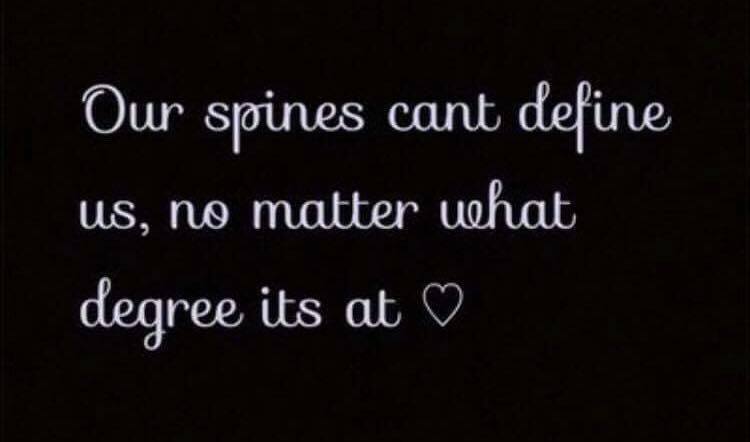 Both of my sisters, Georgia and Amelie, suffer with scoliosis too but we all have our curves in different places which means we all experience different pain and different places of pain. 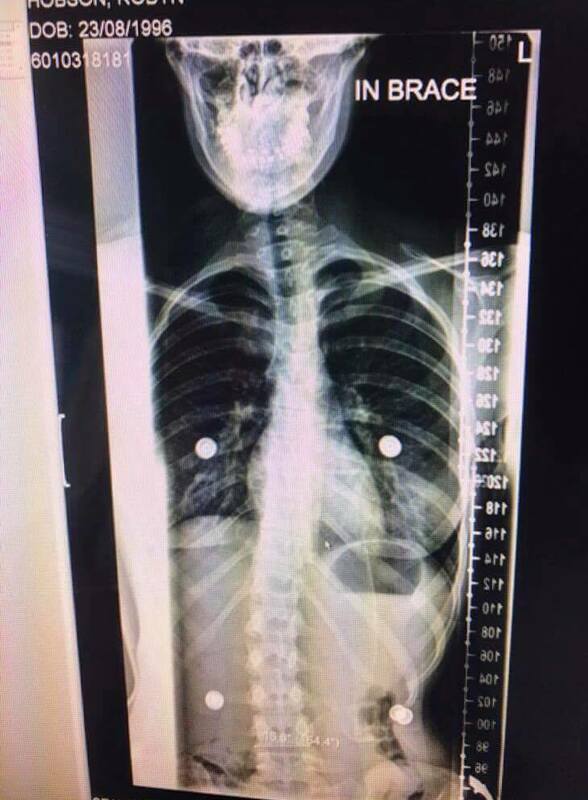 Amelie was recently diagnosed with scoliosis (at the age of 10) and was told she couldn’t dance again.. Sadly, Amelie felt like her world had collapsed right in front of her as dancing is her favourite thing EVER. Thankfully, after having numerous X-rays and meeting lots of different specialists, she was told she could return to dancing but she has to be extra careful. It is a little annoying for her as unfortunately, it causes a little restriction on the way she dances. I used to be back and forth to hospital appointments, literally every other month.. I mean, I didn’t mind, as the hospital was so far away that I had to (for medical reasons) take a day off school.. but we would be in the hospital for 3-4 hours on some occasions.. due to having an x-ray with my back brace and without my back brace every time I visited the hospital – it was a pain but I got to spend the day with my mum or my dad, so I didn’t mind too much!!! I have to have an osteopath session every few 4-6 weeks, this is purely just to straighten my spine up again as over a period of time, my back begins to slant and I am a tad wonky looking.. it isn’t something you would probably notice, unless you knew what you were looking for but it used to make me feel super self-conscious! I mean, I still am a little bit but I have learnt that I just have to accept it now. I am always reassured by my friends, boyfriend and family. My mum and dad always notice when my back slightly starts to move but in fairness, they are basically back specialists now!!! So, moving onto something that has amazed me recently.. a posture corrector – something I have been DYING to try since I heard such thing ever existed. I know you’re probably thinking “oh yeah, heard it all before” but seriously.. this is something I use on a daily basis now and it has just become my “norm”. I slouch a lot, without even realising, which causes more pain and aggravation to my back – so the posture corrector really helps pull me into place. I guess, it’s similar to the back brace but just not as big and bulky! I actually swear by the posture corrector – it is a life saver. As I work in an office, I find myself slouching over more and more as the day goes on, so as annoying as it is at first, when it restricts you from going into your natural position, it certainly pulls me back into place. I needed some way to train my back to stay in the correct posture position and this certainly works. However, as you may be, I was very optimistic at first. So, if you struggle with your posture or feel yourself slouching, take my advice… it will only get worse over time, it will cause you more pain and more struggles in the future. If you invest in a posture corrector from here: www.amazon.co.uk/posturecorrector – (this is currently just £10 in the sale and is normally £27.99!!!).. you really are laughing. The sooner you get into the correct posture shape, the better.. trust me! It’s funny how we all naturally put on some sort of front to make everyone believe that we’re okay.. when in reality we could be suffering in lots of different ways – I mean, I’m sure some of you wouldn’t have had a clue that I suffered with this condition.. and I’m sure I wouldn’t know you suffered from other conditions.. and that’s because our Instagram pictures don’t show that part of our lives. But, please just remember to be patient with others, help others and be kind to others… you never know what it’s like to be living with their conditions. So, I’ve given you a little bit more of an insight on my life and I guess, it’s something I’m not used to writing.. so if you have any questions, please do not hesitate to send me a message and I will help in every way possible. I hope this blog post was something you enjoyed to read: I mean, it’s not everyday I let you into my deepest darkest secrets! I can’t wait… my favourite season is just around the corner… not Spring, not Summer but Festival Season(!) and Boohoo have sent me this fabulous outfit from their Festival Collection! I am forever trying items together to create a cute festival look and I normally go for something simple and then just add tons and tons of glitter, so Boohoo made it super easy for me with this awesome combination! But, as we all know (and have learnt over the years), as well as looking cute, you also need to be comfortable! This week my perfect combination of Pink and Denim came together. I chose the Clara Pink Cropped Contrast Stitch Denim Jacket (which was always sold out in my size every time I checked online), the matching Helen Contrast Stitch Denim Mini Skirt and the Amelia Pastel Crop Top. 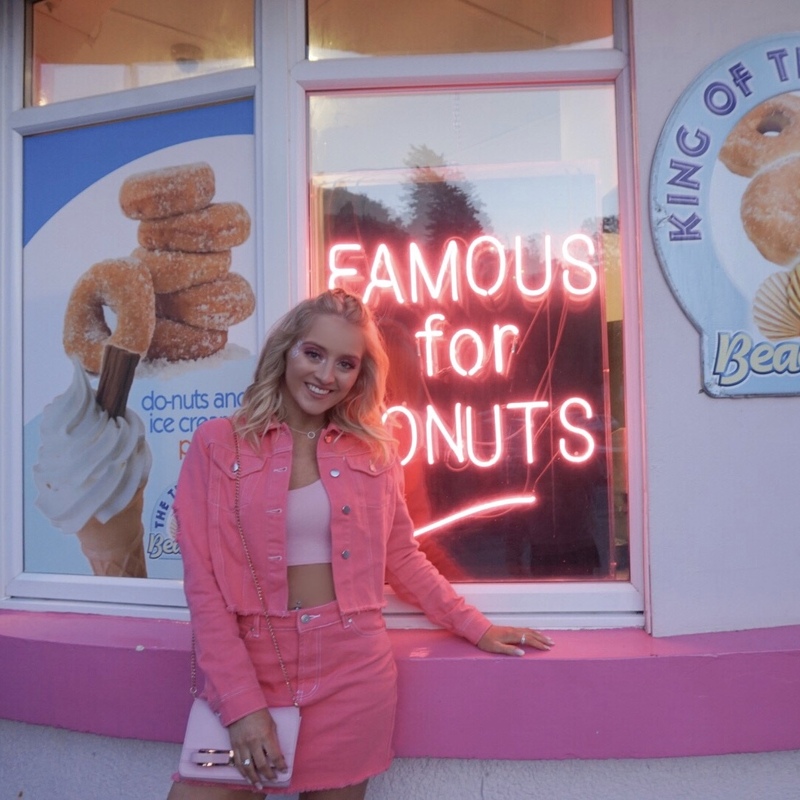 As easy as I have made it sound, it was most definitely not that easy to choose… I was torn between about 6 different outfits, but pink denim is most definitely me and I guess, where I had my eyes set on this look for SO long… the pink denim look was always going to be the winner!!! For the price of the items, I hadn’t expected the quality to be as amazing as it is, so you definitely can’t go wrong! You can certainly put an entire outfit together for under £30 and I can assure you, the quality will be amazing!!! If you are heading to any festivals over the Summer, make sure you check out the Boohoo Festival Collection here: www.boohoo.com/womens/festival. 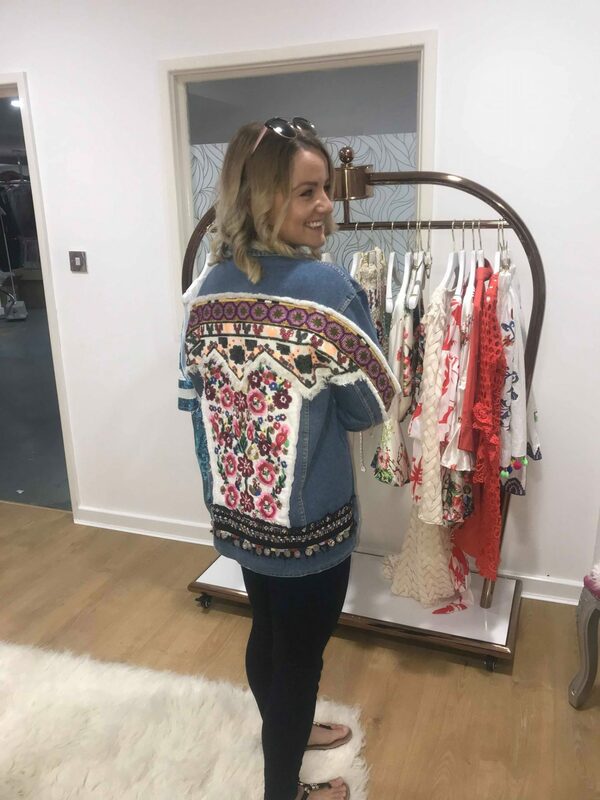 I can assure you, you will find everything to fit your festival needs and I cannot wait to see your Boohoo Festival Looks! 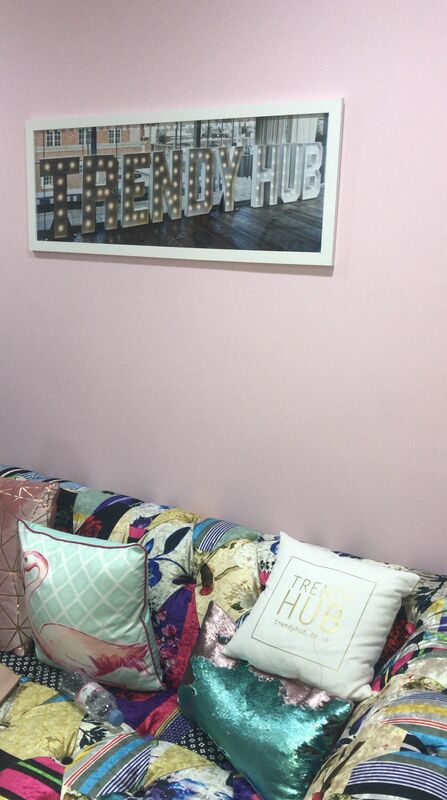 I was extremely privileged to receive an invitation to visit the Trendy Hub HQ to be given the opportunity to view the NEW Summer collection before it goes live! 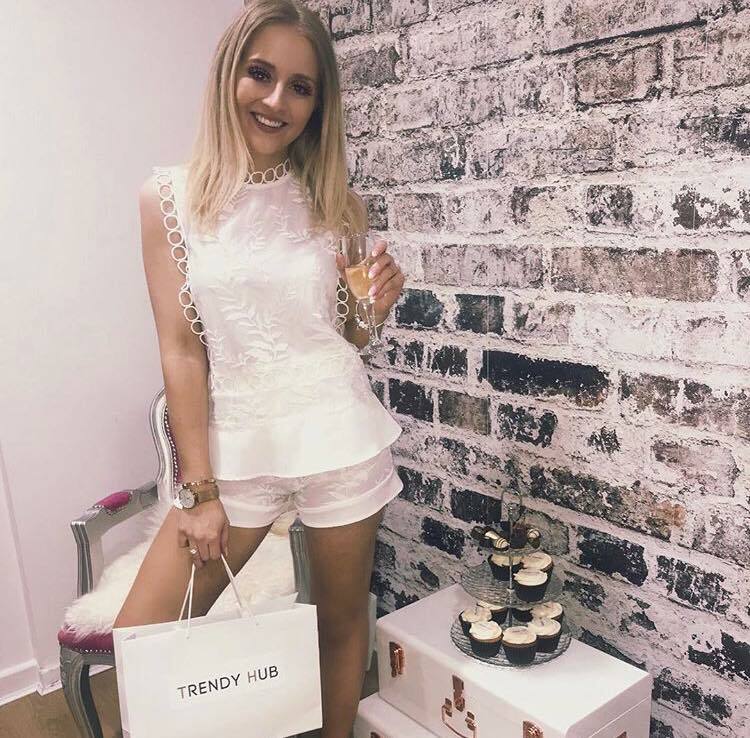 When I arrived at Trendy Hub HQ with my Australian cousin (who isn’t a blogger and had never been to a blogging event before), we bumped into about 6 bloggers who also received an invitation to view the new collection. This made me feel even more overwhelmed to have received an invitation as it was a very intimate event! 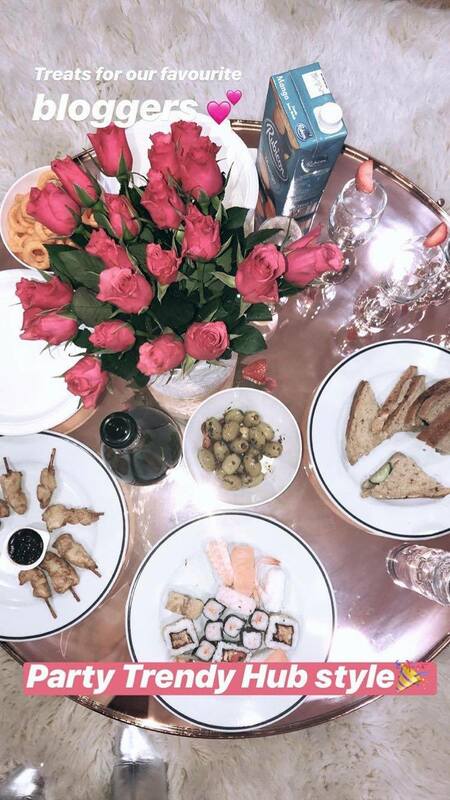 We checked out the new collections, tried on some bits, had some drinks and nibbles, gave each other outfit opinions and listened to a bit of Drake! It was honestly so eye-opening as we could see the “behind the scenes”, the things you don’t see on Instagram and the Trendy Hub website. Everyone was working hard.. whilst we were sipping on champagne! I was so excited to be taking my cousin to an event as I had been going on and on about what happens at events, why I attend events, etc.. so this gave her the chance to see what it’s all about for herself! She really enjoyed herself and said the Trendy Hub team made her feel very welcome. Honestly, they are the nicest team ever.. I absolutely love them! Whilst I was checking out the clothes on the rails, I was asked numerous times what my fav part pieces were and to this day now, I still couldn’t tell you: literally EVERY item made my eyes light up.. and the collection has most definitely made me excited for Summer! 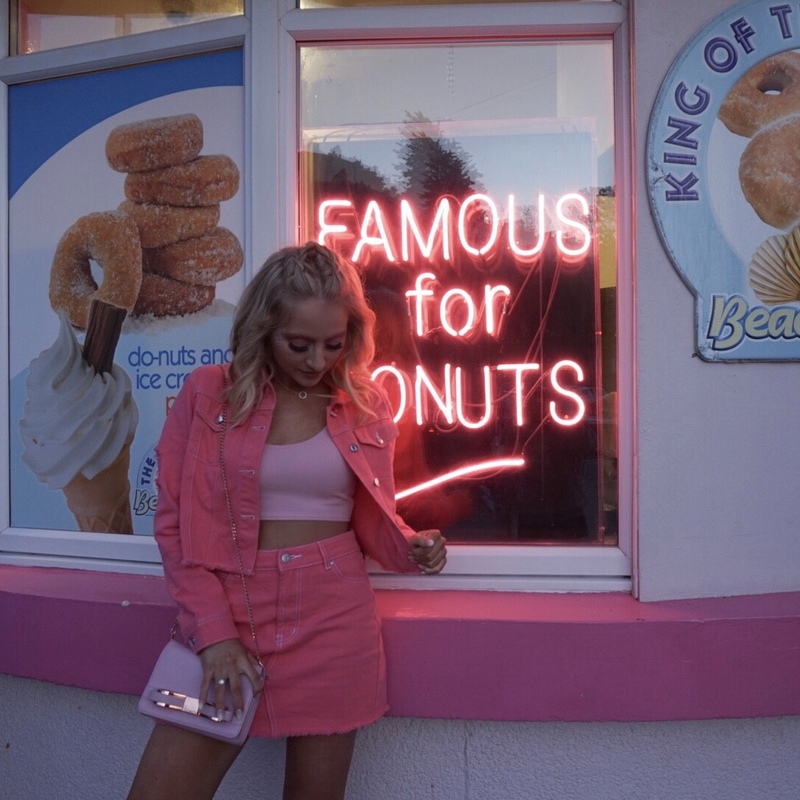 …it was extremely close as you can see… but I still haven’t told Instagram which outfit I took home just yet… so you’ll need to follow my Instagram (@RobynneLouiseX) to find out which outfit I took home! But we had such an amazing time with the Trendy Hub team and the other bloggers. The Summer collection is something else.. seriously!!! You guys are going to fall in love (and I will probably fall in love all over again when I see the full collection online!). So, make sure you check out the collection here: www.trendyhub.co.uk! Big thanks to the Trendy Hub team for another amazing event and of course, for giving me the opportunity to be a part of this incredible journey!